The medical and nursing schools have signed a commitment with NOD-Lb (approved by the Ministry of High Education in 2013), to introduce organ procurement system in their curriculum. The Ministry of High Education has asked NOD-Lb to train instructors of medical and nursing schools for this purpose. NOD Lb held the first 3 seminars in the year 2015. The attendees were instructors from many nursing schools, and healthcare professionals (physicians and nurses- coordinators from the committed hospitals). The seminars included both theoretical and practical teachings. 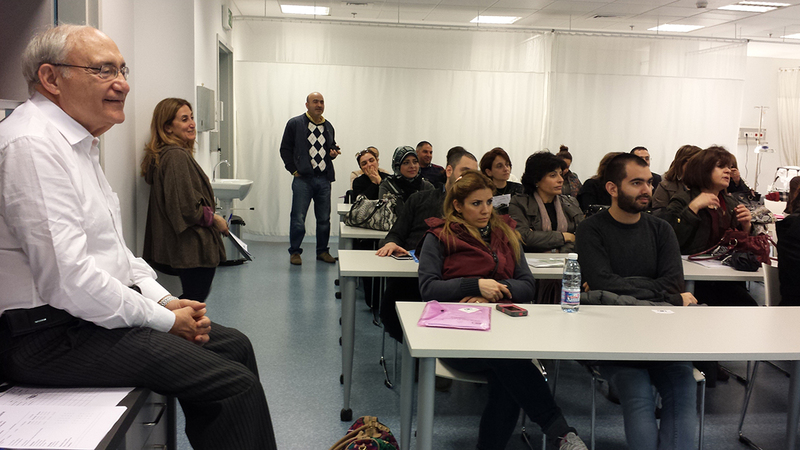 The theoretical part was held at the Order of Nurses-Sin El Fil and the practical training at the LAU – Clinical Simulation Center, Byblos campus.